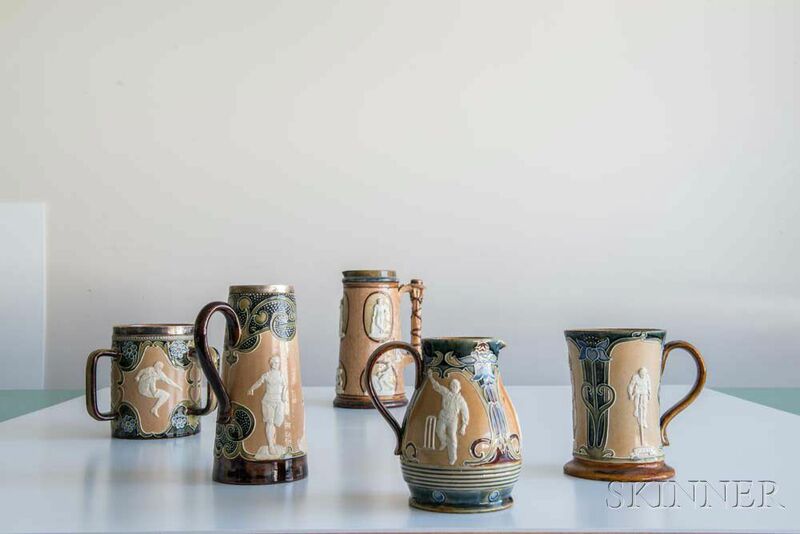 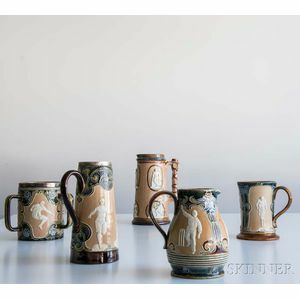 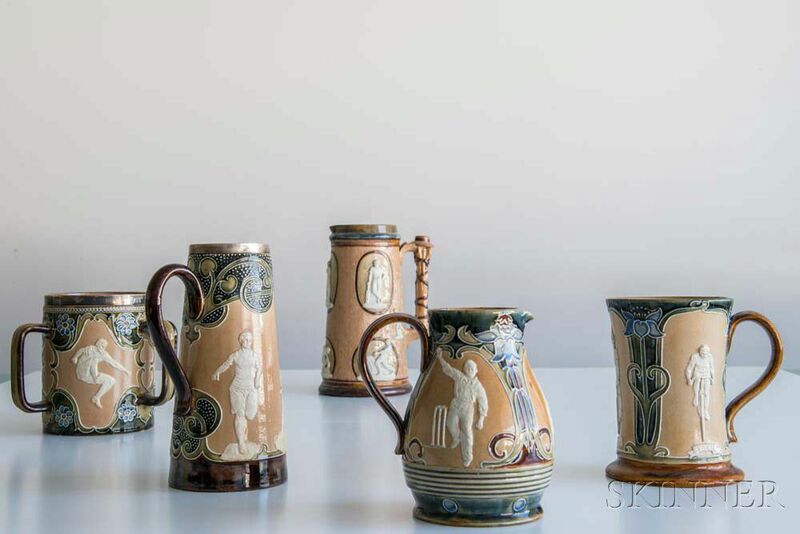 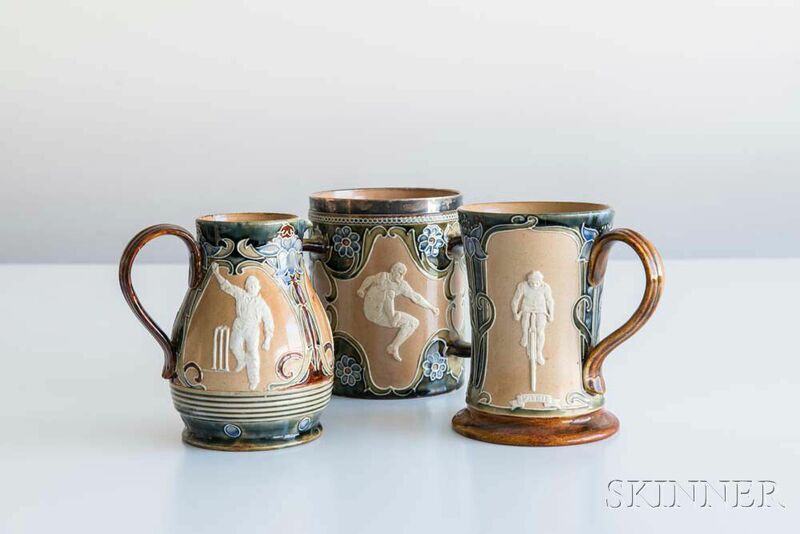 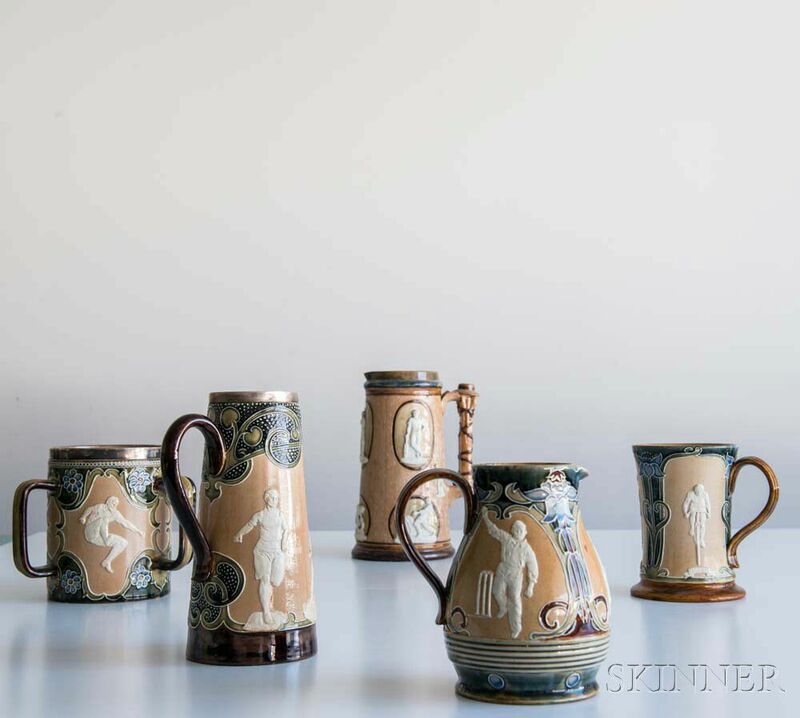 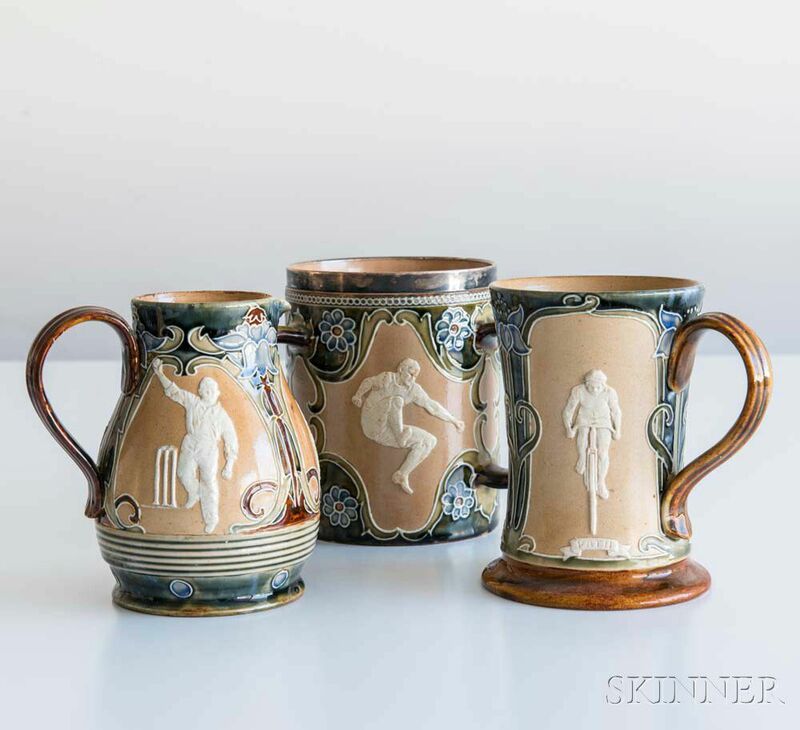 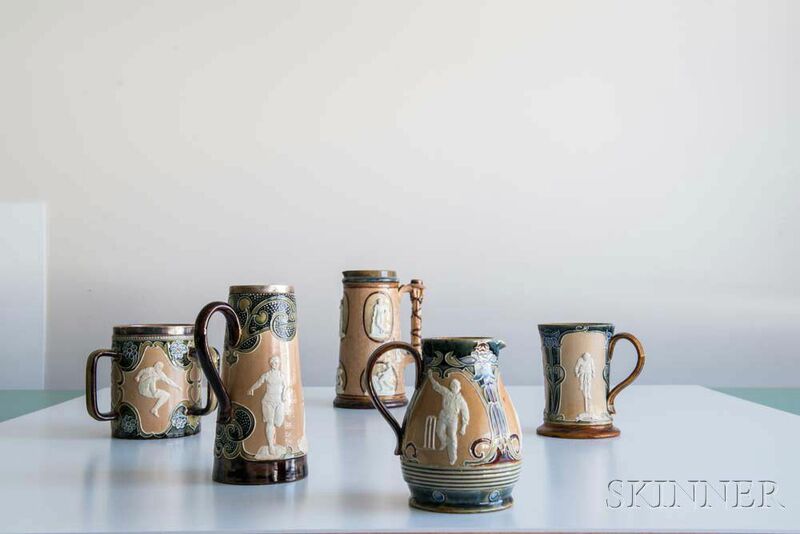 Five Doulton Lambeth Stoneware Sporting-decorated Vessels, two of cricket, one of cycling, a three-handled loving cup with sterling mount, and a pitcher of track and field events bearing stickers for "Pascoe & Company" and "Bearman Collection," ht. 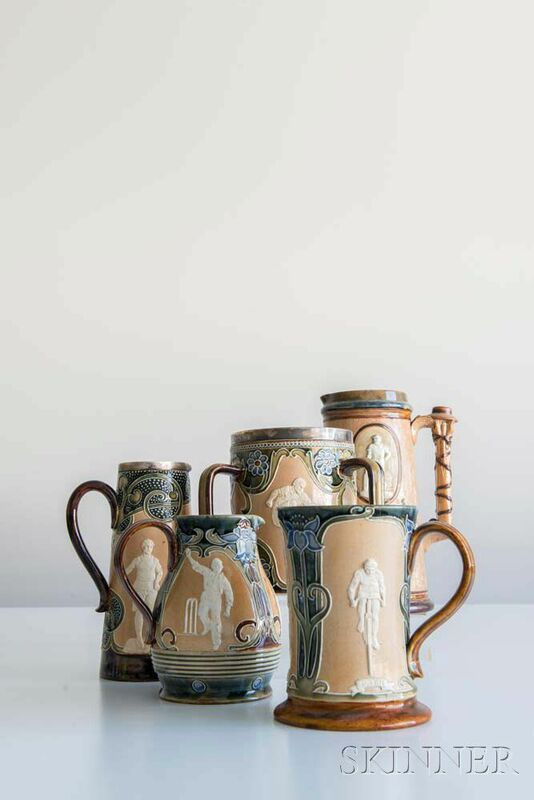 to 9 1/2 in. 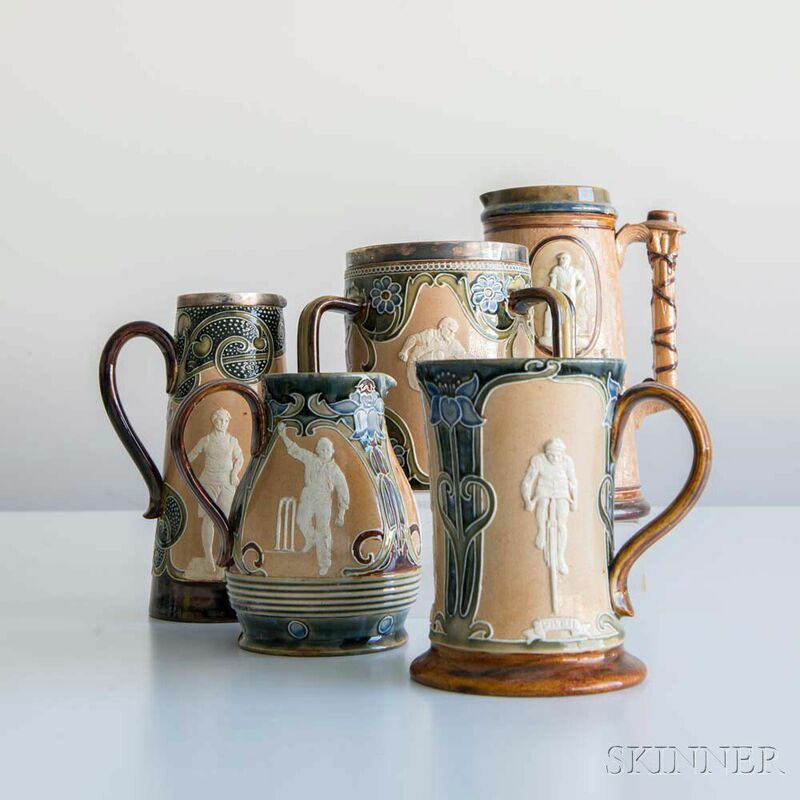 firing cracks to the figures in relief, surface grime to each, tarnishing to the sterling mounts, the smallest jug has a flake to the spout and abrasions to a few figures, and the second to smallest has an abrasion near the rim.